Google is set to change the privacy options of StreetView, so that the service meets European requirements. The change has come about after the Article 29 Working Group, an independent advisory board on data, asked the search engine to look into its privacy practises for Street View and mentioned that a time-limit should be set for how long it keeps non-blurred images on its servers. 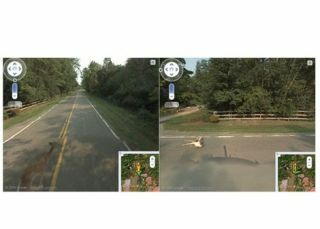 While Google does its best to blur our people's faces on Street View, the original images are still stored, and it is these which are prompting the changes to privacy. In a blog, Peter Fleischer, Global Privacy Counsel for Google said: "It's important for companies operating services across Europe to be able to follow harmonised data protection guidance, and we're grateful to the Article 29 Working Party for their advice and collaboration on Street View. "It is this coordinated approach that will best enable the expansion of consumer-facing services and innovative technology across the region." The blog also insisted that Google would look into how long it keeps the non-blurred images, saying: "The Article 29 Working Party have asked us to take some additional steps to ensure that we don't keep the original 'unblurred' copy for longer than we need to. "This is a challenge, but again one we're committed to meeting not just in Europe but globally."